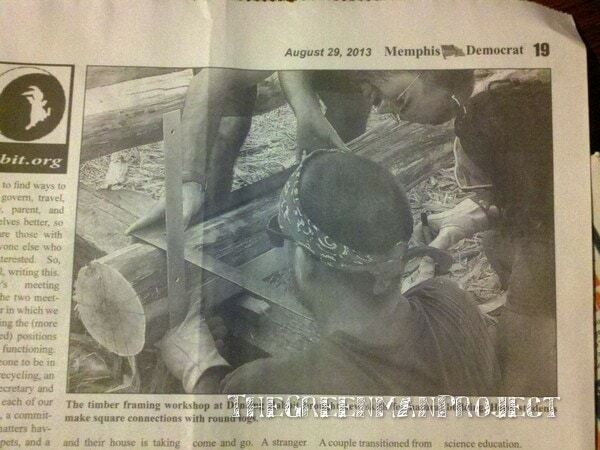 The timber frame workshop was in the local news paper, The Memphis Democrat. Yours truly at the top of this photo with Illly and Rae, my good friends whose home we were building. Had a blast, learned lots of new skills (if I can retain any is a different story), and have been meeting loads of amazing people here at Dancing Rabbit.